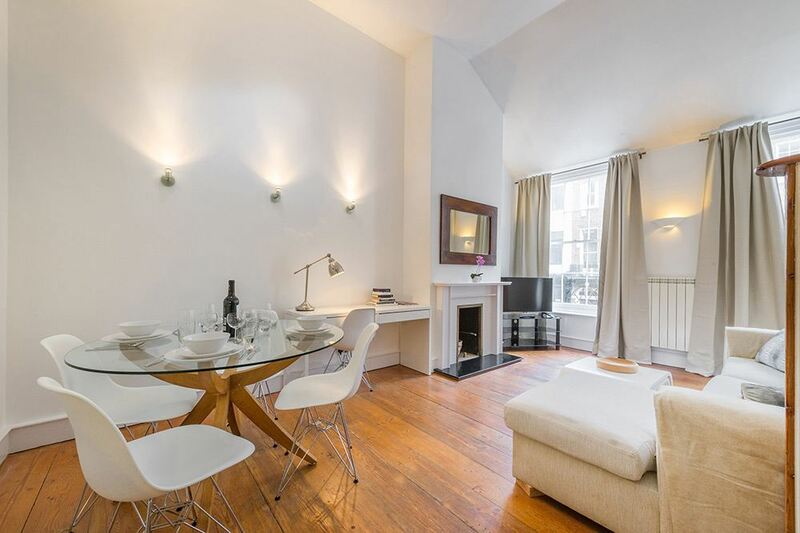 Fitzroy Square Apartments are set in one of central London's most vibrant neighbourhoods,..
Fitzroy Square Apartments are set in one of central London's most vibrant neighbourhoods, Fitzrovia. 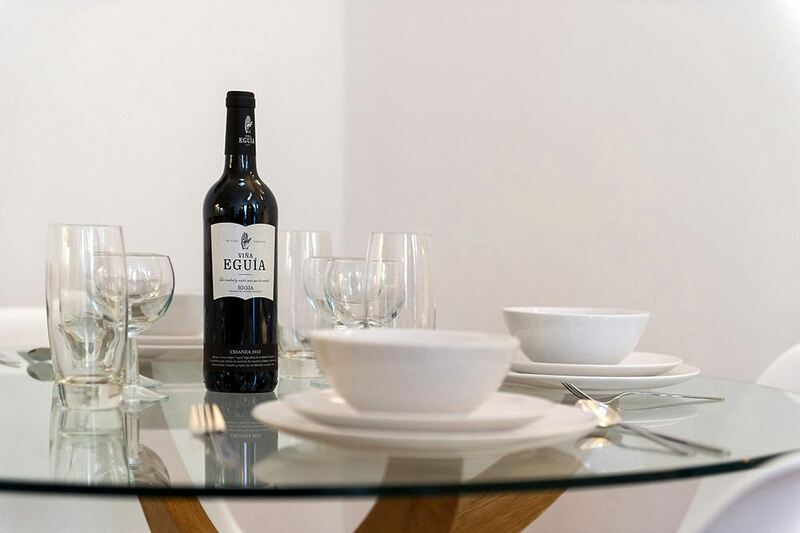 It is home to the iconic BT Tower as well as a vast choice of fanstastic restaurants, cafes and bars ,that draw in locals as much as tourists. 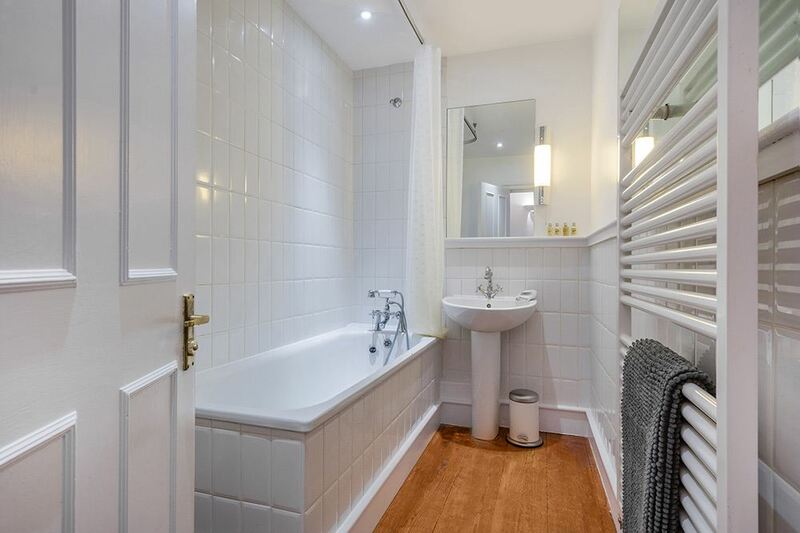 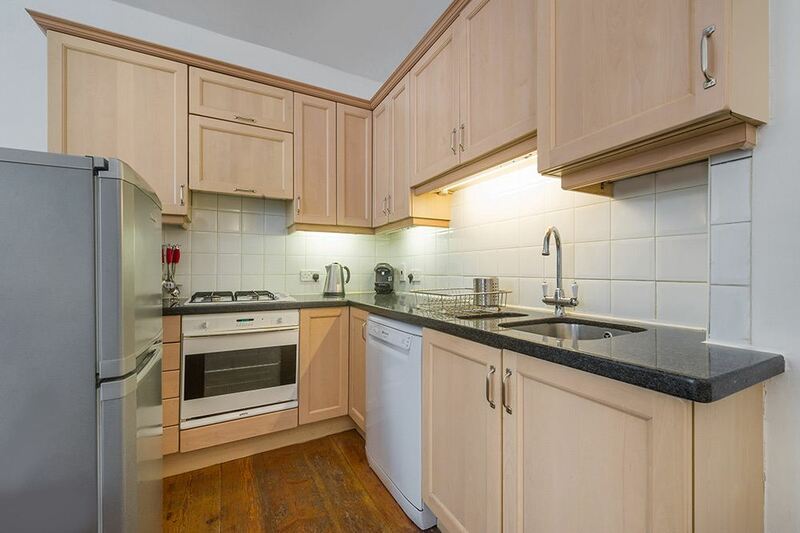 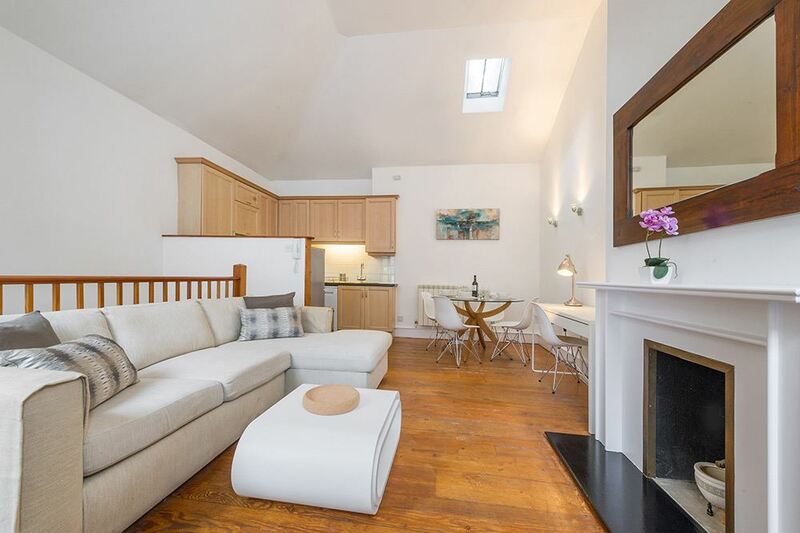 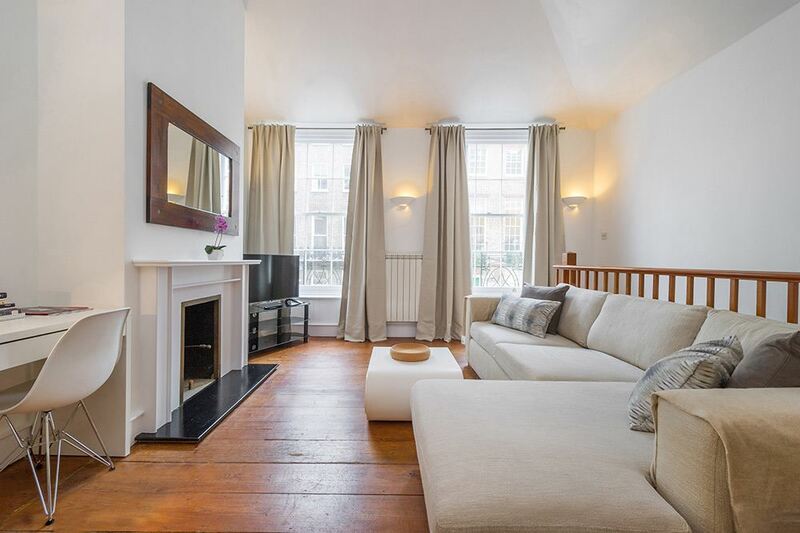 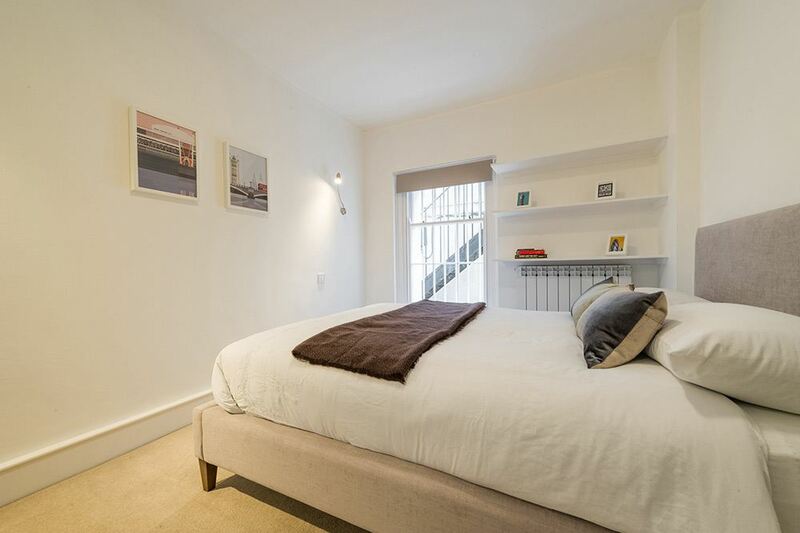 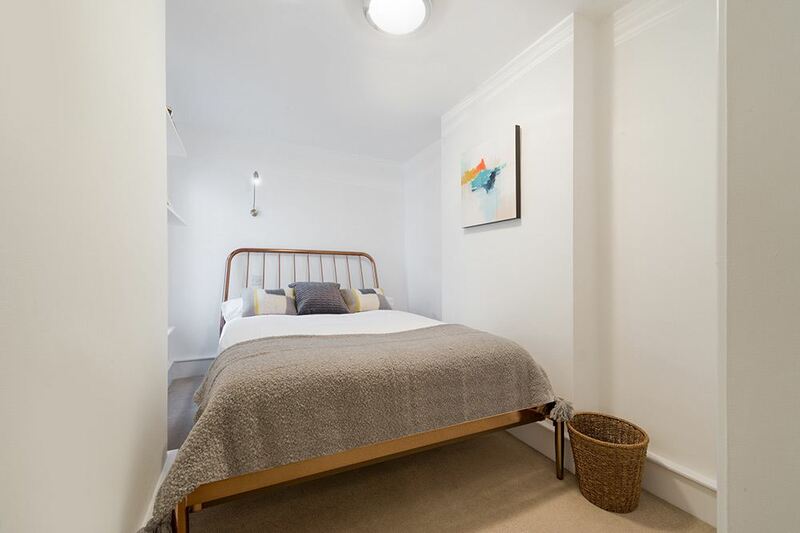 It is a short walk from Oxford Street, Regents Park and Bloomsbury making it a very desirable address and its superb transport connections from stations like Great Portland Street and Warren Street and Regents Park mean it is a perfect base for any London visitor. 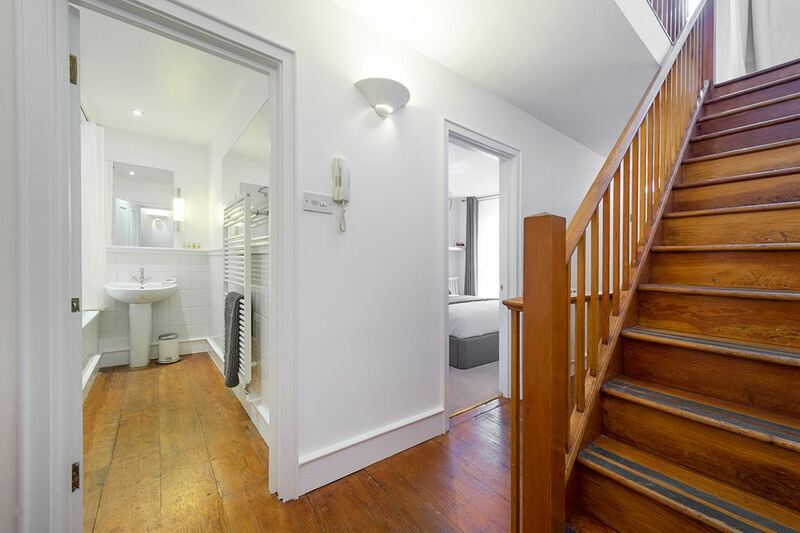 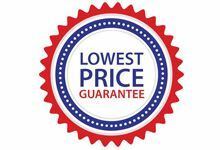 From here it is easy to get to the London Zoo, Camden Market, Soho's nightlife, The British Museum, Madame Tussauds Wax Museum or Covent Garden's markets and musicals. 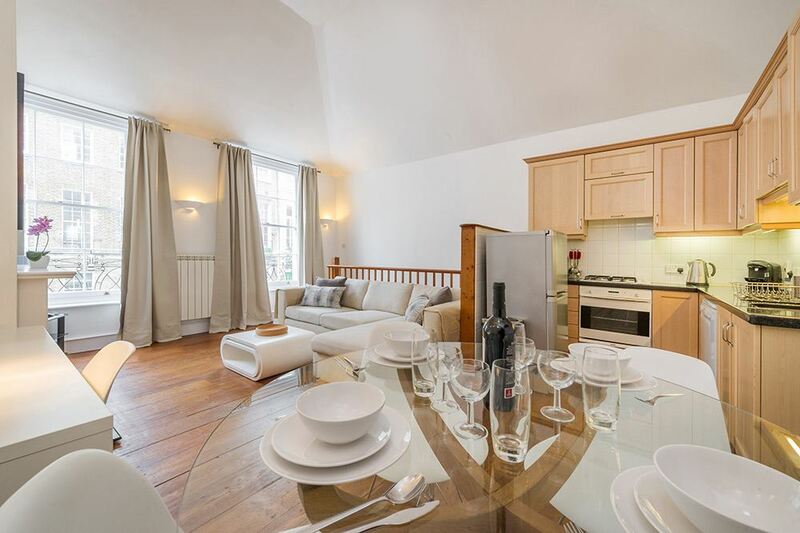 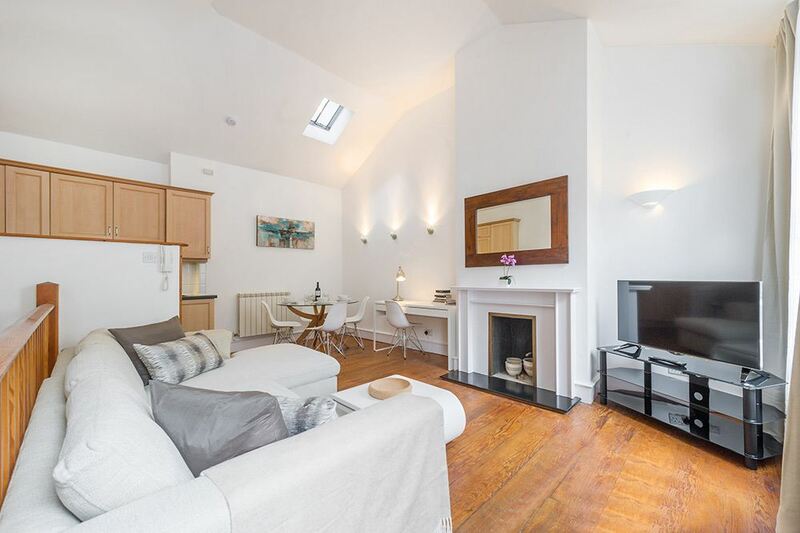 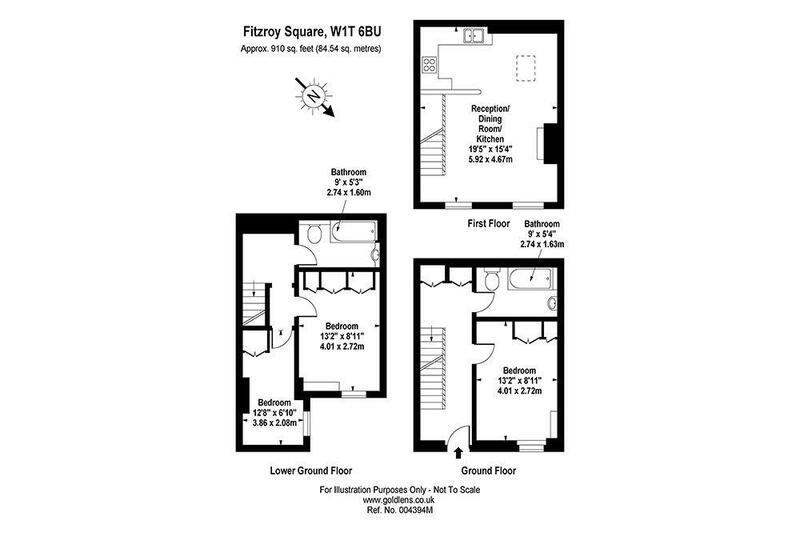 Fitzroy Square Apartments are split over three floors and benefit from plenty of light, high ceilings, Smart TVs, large open plan living and dining space and fully equipped kitchens where you can cook, relax, unwind and socialise together. 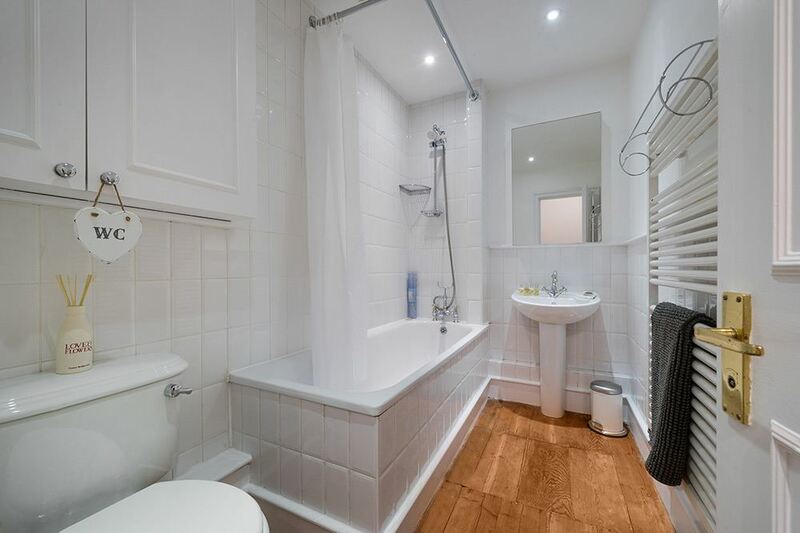 Feel at home from the moment you walk through the door and experience the real London life. 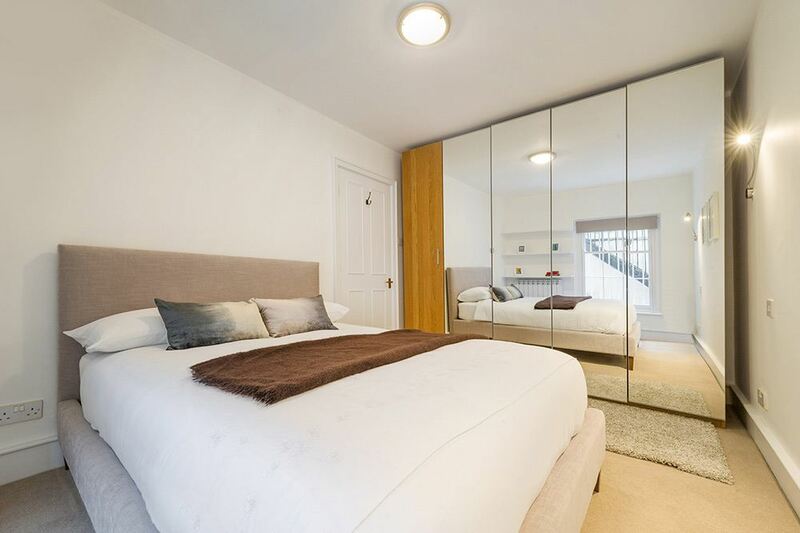 Weekly housekeeping means your apartment stays as fresh as possible throughout your stay and wireless internet as well as all utility bills are already set up for your convenience. 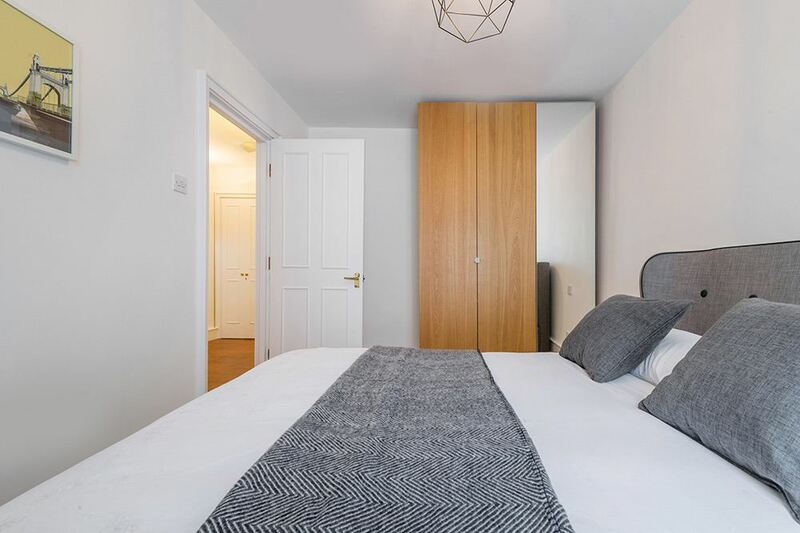 The apartment also features wooden flooring in the living areas, carpet in the bedrooms, period details like fireplaces and plenty of storage. 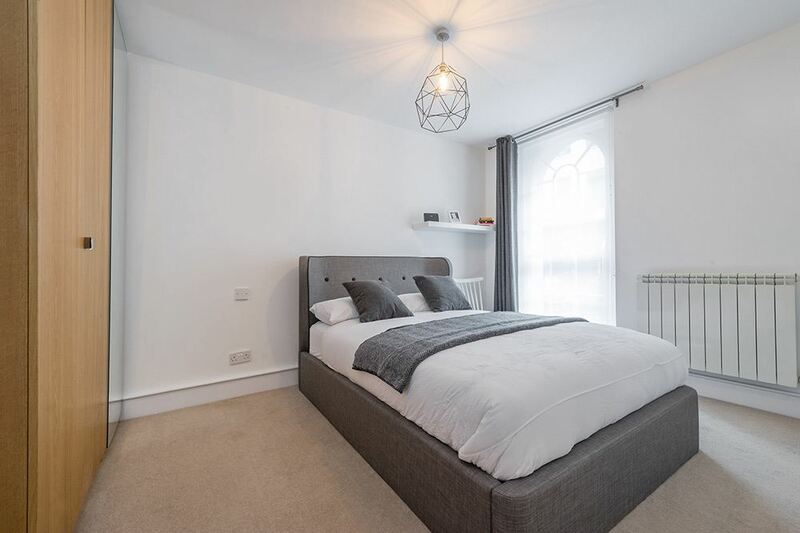 Sleeps upto six with three bedrooms, two of which are located on the lower ground floor, and one bedroom located on the ground floor, with plenty of storage, two bathrooms, a large open plan fully equipped kitchen and living room, high ceilings and plenty of light.